Launched July 2008, Current/Elliott has raised the bar for the denim standard. Born out of love for vintage denim and its Americana roots – from the washes to the range of fits and styles – the collection respects the history of denim and its timelessness. Each individual style pays homage to the importance that denim has played throughout American history – every style offered in the collection has a historical reference, an original vintage sample and year of origin. Serge Azria, CEO and Creative Director of Current/Elliott, is an intuitive entrepreneur who strives to make a difference. With Current/Elliott, Azria set out to produce a collection entirely crafted from denim, introducing a new denim concept into the realm of fashion. Azria, who immerses himself in every collection and business venture, seeks to harmonize innovative ideas, fresh talent and unique concepts resulting in a beautifully tailored product. As consultants, stylist duo Emily Current and Meritt Elliott work closely with Azria and his expert design team to see his vision through. Betsee Isenberg, owner of 10eleven showroom, has an incredible understanding for avant-garde and fashion trends. Her 10eleven showroom is the most credible showroom in the country. Being a close friend and respected associate of Serge Azria, Betsee’s expertise and collaboration have played a vital role in the development of Current/Elliott. Taking a modern approach to the American classic, Current/Elliott seeks to transcend denim trends with its unique silhouettes, classic fit, and everlasting aesthetics. 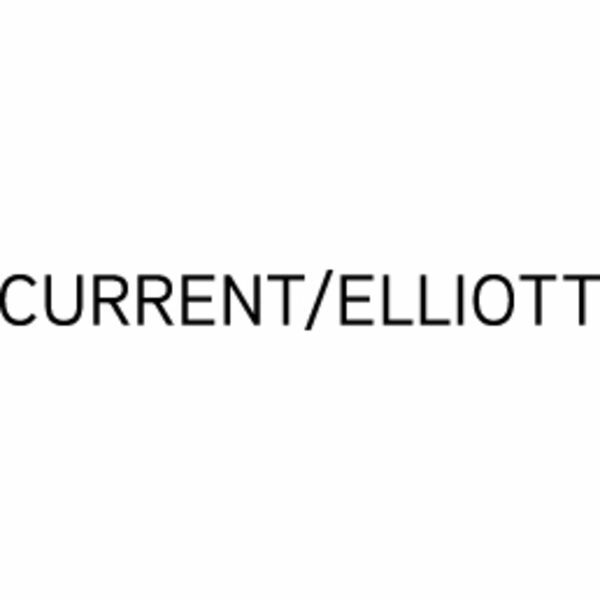 Constantly inspired by the past yet always looking to the future, Current/Elliott continually delivers its customers with more of what they have always loved – a distinct and timeless collection that promises to love an be loved for years to come.